Arjun Rampal will be attending The Bollywood Festival Norway in Oslo next month where his upcoming film Daddy will be screened as the closing film of the 15th annual event on the 14th of September this year. Arjun Rampal’s much talked-about film Daddy, which is based on the story of Mumbai-based gangster Arun Gawli, has been directed by National Award-winner Ashim Ahluwalia. The film has been making waves and of course by the impressive transformation of Arjun Rampal into the character. From the rough streets and back alleys of Central Mumbai comes the sensational true story of Arun Gawli, a man who scripted his own destiny, eventually going on to become one of India’s most feared gangsters. Today he remains an enigmatic figure; at once a volatile, power-hungry criminal for some and the respected “Daddy” or a modern day Robin Hood for the working-class neighbourhood he belongs to. Daddy follows the intertwined fates of the world-weary Gawli as he attempts to enter politics and a frustrated Police inspector with a secret history of his own. An unfolding jigsaw puzzle, told from different points-of-view and spanning over four decades, Daddy is an unforgettable excursion into the Mumbai underworld. 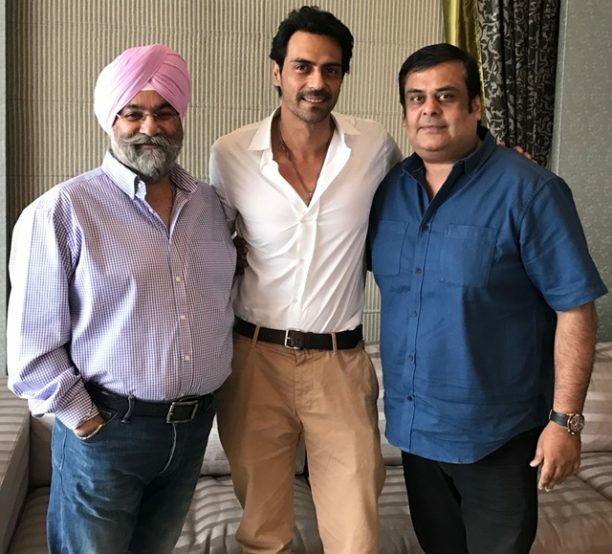 Arjun Rampal will be accompanied by award winning film Producer Rahul Mittra and Chairman of Wave Group Raju Chadha, the presenter of Daddy. The trio will be the attraction of this year’s festival which is expected to be attended by thousands of Asians & Scandinavians. Several acclaimed films like A Death in the Gunj, Baahubali 2, Indu Sarkar, and many others will be part of the festival. 15 queries in 1.199 seconds.